This is the first in a series of debates about entries in The Oxford Handbook of Hobbes, ed. A.P. Martinich and Kinch Hoekstra (OUP 2016 – see here). This first debate features a critique by one of the editors, Al Martinich, of John Deigh’s chapter ‘Political Obligation’. Martinich’s critique is here. I am grateful to Al Martinich for his astute and careful discussion of the argument of my contribution, ‘Political Obligation’, to the splendid volume on Hobbes that he and Kinch Hoekstra have put together. The citations of Leviathan in my reply are to Richard Tuck’s 1996 edition for Cambridge University Press. I use the letter ‘L’ as an abbreviation of this work. Many scientists believe in God. At the same time, they leave their religious beliefs out of the scientific theories they construct and accept. Hobbes, in writing Leviathan, treated his religious beliefs in the same way. A central aim of the work was to advance scientific theories of morals and political society, and he sought, in constructing those theories, to keep them free of religious propositions. The work, however, has other aims. It is not one of pure science. Hobbes’s pursuit of these additional aims is sometimes intermixed with his scientific efforts. This feature of the work complicates its interpretation. My projects in interpreting Leviathan have been to extract from its text the philosophical theories of morals and political society that Hobbes presented. These are the same as what Hobbes regarded as scientific theories, for he did not distinguish between science and philosophy. And because one of his additional aims in writing Leviathan was to advance a new Christian theology, these projects have required determining whether one can interpret the work without having either to concede that some of Hobbes’s religious beliefs unwittingly and inextricably infect his philosophical theories or to give up the view that he meant to be constructing philosophical theories that were free of those beliefs. The interpretation I put forward in ‘Political Obligation’, if sound, shows that one can so interpret the work. And given its fidelity to Hobbes’s idea of science, it is, I argue, superior to competing interpretations on which Hobbes’s philosophical theories rest on premisses about God. Professor Martinich writes, ‘Hobbes’s considered view [in Leviathan] is that the laws of nature are genuine laws and impose obligations because they are commanded by God.’ He takes my interpretation to contradict this statement. And it does, provided that one understands his statement to be about a view Hobbes included in his philosophical theories of morals and political society. If his statement is instead about a view Hobbes held on reflection or generally, a view that is part of Hobbes’s overall set of beliefs, then nothing in my interpretation contradicts this statement. Hobbes, for all I say, may well have believed that the laws of nature are genuine laws because he believed in God and believed that God promulgated them. What I deny is that he thought such beliefs belonged to a properly constructed philosophical theory. I deny, that is, that Hobbes thought such beliefs were part of the true sciences of morals and political society he saw himself as constructing. I stress this point because of the importance to the method I use in interpreting Hobbes of the role of his idea of science. Hobbes defined science in chapter 5 as knowledge acquired by, first, giving apt definitions of the terms that are special to the branch of knowledge being developed, second, joining these terms together to make assertions, and then, third, drawing consequences from the assertions one has made either initially or by drawing them as consequences of the initial assertions. The definitions with which scientists begin ‘settl[e] the signification of their words’ (L, 28), and constancy in using these words with the significations the definitions assign them guarantees, if the definitions are apt, the truth of the initial assertions made from these definitions and of the consequences drawn from them. Someone who reasons without starting with definitions, Hobbes warned, or uses words with different significations from the ones the definitions he started with assign them ‘will find himself entangled in words, as a bird in lime-twigs, the more he struggles, the more belimed’ (ibid.). My method of interpreting Hobbes, then, is based on the assumption that he meant, in constructing his philosophical theories of morals and political society, to be conforming to his idea of science. Accordingly, I presume in interpreting him that with respect to each term for which he gave a definition that he used that term in the sense in which he had defined it. That is, I take each occurrence of the term to express that sense unless the text provides strong evidence that Hobbes was using the term in a different sense. The interpretation of Hobbes that Martinich favors opposes my interpretation if it entails that Hobbes in Leviathan constructed a philosophical theory of morals on which the laws of nature are commands of God. I will assume that it does. Such an interpretation faces, on my method, an immediate problem. Hobbes, in chapter 3 of Leviathan, declared that the human mind can form no idea of infinity and then concluded that we have no conception of God. ‘[T]he name of God is used not to make us conceive him’, Hobbes wrote, ‘(for he is Incomprehensible …)’ (L, 23). If we have no conception of God, then no apt definition of God can be given. The name, in other words, cannot be a term in any branch of science. Scholars like Martinich who interpret Hobbes as constructing in Leviathan a philosophical theory of morals on which the laws of nature are commands of God therefore have the burden of explaining how Hobbes could have in this case ignored his own caution against trying to acquire knowledge or develop a science without starting from apt definitions: ‘And in wrong or no Definitions, is the first abuse [of speech] from which proceed all false and senselesse Tenets’ (L, 28). A related problem for the interpretation Martinich favors arises, on my method, from its implication that Hobbes took the laws of nature to be binding on men and women solely in virtue of their being God’s commands. I take Martinich to affirm this implication when, after stating that obligations have more than one source, he writes, ‘The laws of nature bind simply because God is a natural sovereign with irresistible power who promulgates them through reason.’ The implication, however, does not square with the definition of being obliged or bound that Hobbes gave in chapter 14. Hobbes there said that to be obliged or bound to φ is to have laid down one’s right not to φ by either renouncing the right or transferring it to another or others. Such renunciation or transference consists in one’s saying or doing something that signifies this alienation of the right. Since Leviathan contains no other definition of being obliged or bound, this definition must apply to any obligation that results from one’s being the recipient of someone’s commands. Accordingly, one cannot be obliged or bound merely by being such a recipient. Hence, on the assumption that Hobbes adhered to his program for constructing a true science, laying down one’s right by renouncing it or transferring it is the only source of obligation he allowed. No one, therefore, is bound to obey anyone’s commands merely in virtue of the latter’s addressing commands to him or her. Defenders of interpretations that attribute to Hobbes the view that the laws of nature are binding on men and women solely in virtue of being commands of God thus bear the burden of explaining how Hobbes could have ignored his definition of being obliged or bound in this case. The upshot of these and similar problems for such interpretations is that their defenders must somehow show that Hobbes did not reliably adhere to his program for constructing a true science, that his adherence to the program was erratic at best. Martinich, for one, thinks Hobbes’s adherence to his program was erratic. Expressly disagreeing with me on this point, he writes, ‘[O]ne problem is that Hobbes’s practice does not always conform to his official method. He does not invariably deduce conclusions from definitions although terms that have been defined may occur in the premises.’ Unfortunately, Martinich gives no examples supporting this claim about Hobbes that do not beg the question. The examples he does give presuppose the very interpretation of Hobbes that I reject. Still, let us take Martinich’s treatment of Hobbes’s definition of a law of nature as a test of whether Hobbes reliably adhered to his program. According to this definition, a law of nature is a precept that is found out by reason and that forbids self-destructive action. A law of nature, therefore, need not be a law. Hobbes expressly affirmed this consequence of the definition in the last paragraph of chapter 15 and then again near the beginning of chapter 26, where he wrote, ‘For the Lawes of Nature . . . in the condition of mere Nature (as I have said before in the end of the 15th Chapter,) are not properly Lawes …’ (L, 185). Even if we grant the oddity Martinich observes in how Hobbes formulated the point in chapter 15 that the laws of nature need not be laws, Hobbes’s formulation of the same point in chapter 26 contains no such oddity. Indeed, it clarifies his meaning: men and women in their natural condition can discover the laws of nature by using reason, but in that condition the precepts they discover are not properly laws since nothing about the natural condition of men and women implies that they believe that these precepts were commanded by anyone including God. And if they have no such belief, then there is no basis, given Hobbes’s definition of law as a command issued by someone whom its addressees are formerly obliged to obey, for these precepts to be laws. One cannot, after all, be obliged to obey someone unless one has transferred some portion of one’s right of nature to him or her, and such a transference entails a belief that the transferee exists. Martinich’s argument, however, is based on a false dichotomy. It assumes that Hobbes took the laws of nature to be either mere dictates of reason and therefore not laws or commands of God and therefore laws. There is, however, a third possibility, which Martinich misses and which squares better with the text. It is that Hobbes took the laws of nature to be in some contexts mere dictates of reason and in other contexts genuine laws. He took them to be mere dictates of reason in the context of human beings in their natural condition and took them to be genuine laws in the context of a commonwealth. Thus the passage from chapter 26 that I previously quoted continues, ‘When a Common-wealth is once settled, then are [the laws of nature] actually Lawes, and not before; as being then the commands of the Common-wealth and therefore also the Civll Lawes’ (L, 185). On this interpretation, Hobbes understands the expression ‘law of nature’ to denote genuine laws when one uses it in the context of a commonwealth to refer to precepts that fall under its definition. Those precepts are part of the commonwealth’s civil law. They are, Hobbes declared, the unwritten law of the commonwealth and are thus known not by any act of publication but by reason. One attributes them to the will of the sovereign, who is representative of the commonwealth, by virtue of their being dictates of the sovereign’s reason. Hobbes divided the civil law of every commonwealth into its positive law, which is peculiar to each commonwealth, and natural law, which is law in every commonwealth. This division, which corresponds to Hobbes’s distinction between written or published law and unwritten law, is fundamental to his jurisprudence. In particular, he relied on it for his criticism of the jurisprudence of lawyers who defended the English common law, Sir Edward Coke, above all. On Coke’s jurisprudence, cases decided by English courts set precedents that subsequent court decisions follow in like cases. These precedents are therefore sources of law, and they have such controlling authority by virtue of the English constitution from which the authority of the courts that produce them derives. Laws based on precedents are thus, in Coke’s view, independent of the sovereign’s commands. Hobbes fiercely opposed this doctrine of precedent as a basis of law. Judges, he argued, should follow reason and not precedent. Their following precedent merely compounds error whenever the case they follow as a precedent was wrongly decided. They avoid compounding the past error of a court by following reason instead, and judges follow reason in deciding cases, Hobbes maintained, when they follow the sovereign’s reason, which is to say, when they apply the dictates of reason that the natural law comprises. These include the nineteen laws of nature Hobbes expounded in chapters 14 and 15, and he singled out the eleventh law, the law of equity, as an especially important law for judges to follow if they are to make sound decisions in the cases before them. In short, the laws of nature have, on Hobbes’s account of sound judicial reasoning, the role that precedent has on the account of such reasoning that the defenders of common law advanced. Plainly, then, Hobbes had good reason to use the expression ‘law of nature’ as he did, despite its denoting precepts that fail, in the condition of mere nature, to be laws. For the precepts it denotes are laws when they are placed in the context of a commonwealth. Specifically, they are the commonwealth’s unwritten laws, which in virtue of being dictates of reason give direction to public ministers, judges especially, when, owing to the absence of explicit instructions from the sovereign, these ministers must use their judgment in deciding how to exercise their office (see L, 188). Judges, in following these dictates, are understood to be applying the civil law of their commonwealth, and consequently their decisions are based in its laws. At the same time, because they are dictates of reason, these unwritten laws exist independently of a commonwealth. By contrast to positive law, there is no point in time at which they are brought into existence by legislation. Rather, as Hobbes liked to say, they are eternal. It makes sense, then, for Hobbes to have used a name for these unwritten laws that marked them as distinct from a commonwealth’s positive law and that also applies to them in circumstances in which there is no commonwealth and thus they are not properly laws. That such a name includes the word ‘law’ as its primary vehicle of reference serves then to highlight the distinction between the laws to which it refers and positive law. Finally, when I wrote that the definition of a term that is formed by joining together two names preempts the definition of either name whenever that name occurs as a component of the newly defined term, I meant that one must use the definition of that term to understand its meaning and refrain from using either definition of its component names to understand it whenever using the latter gives the term a different meaning. In saying this I did not mean to imply that either name, in its occurrence as a component of the term, automatically ceases to have the meaning that its own definition gives it. It ceases to have that meaning if the definition of the term in which it occurs as a component does not contain it or its definition. Hobbes’s definition of ‘law of nature’ illustrates this possibility, for it contains neither the word ‘law’ nor the definition Hobbes later gave to the word, namely, command by someone addressed to another formerly obliged to obey the former. By contrast, Hobbes’s definition of ‘right of nature’ contains his definition of ‘right’, namely, liberty to do or forbear. He defines ‘right of nature’ as ‘the Liberty each man hath, to use his power … for the preservation of his own nature’ (L, 91). In this case, ‘right’ retains the meaning it has according to the definition of it Hobbes gave when it occurs as a component of the term ‘right of nature’. Similar points then apply to the other two examples of multi-component terms that Martinich thinks present problems for my account, ‘commonwealth by acquisition’ and ‘civil law’. Generally, on my account of Hobbes’s definitions of such terms, whether any of their component names ceases, when it occurs as a component of such a term, to have the meaning it has in virtue of a definition Hobbes gave of it depends on whether the definition Hobbes gave of the term of which it is a component contains or fails to contain it or its definition. Martinich and I disagree on how Hobbes understood what he called ‘the liberty of subjects’. Martinich takes Hobbes to have understood the liberty of subjects to be a kind of liberty. Accordingly, on Martinich’s view, it is distinct from natural or corporeal liberty. That is, natural or corporal liberty is a different kind of liberty from civil liberty. What distinguishes the liberty of subjects from natural liberty, according to Martinich, is the kind of external impediment whose absence constitutes the liberty. In the former case it is the absence of laws governing a certain action that creates the liberty of subjects with respect to that action. In other words, such laws, if they existed, would be, on Martinich’s view, external impediments to a man’s or woman’s doing that action. As against this view, I take Hobbes to have understood the liberty of subjects with respect to a given action to be a condition of freedom from laws that govern such action, but because Hobbes did not regard laws as external impediments, he denied that the existence of those laws deprived people of liberty to do the action. In other words, on my view, Hobbes denied that the liberty of subjects was a kind of liberty. The term, I contend, is a second example of Hobbes’s using definition of a multi-component term to preempt taking one of the term’s component names as having the same meaning as it has when it occurs apart from this multi-component term. The text, I believe, supports my view. Hobbes first gave his definition of liberty as ‘the absence of external Impediments’ in chapter 14. Later, at the beginning of chapter 21, he restated it as ‘the absence of Opposition’, which he immediately clarified by saying that he meant by opposition ‘external Impediments of motion’ (L, 145). He then further clarified his meaning by observing that the term ‘liberty’ applies to anything, inanimate or animate, that moves, since such things can encounter bodies that block their paths and, when they do, they may be said not to have the liberty to go further. Two paragraphs later Hobbes considered actions done out of fear and whether their agents are at liberty to do or forbear from those actions. His examples were a sailor’s tossing cargo overboard during a storm at sea out of fear of sinking and a man’s paying his debts under the threat of imprisonment if he defaults. In neither example, Hobbes observed, does the agent lack the liberty to do or forbear from what he does. His point is clear: dangerous circumstances do not by virtue of being dangerous or arousing fear present external impediments of motion. Commenting on the debtor’s action, Hobbes wrote, ‘[B]ecause no body hindered him from detaining, [it] was the action of a man at liberty’ (L, 146). He then applied this point to laws, ‘And generally all actions which men doe in Common-wealths, for feare of the law, are actions, which the doers had liberty to omit’ (ibid.). Laws, therefore, on the view Hobbes set out at the beginning of chapter 21, are not external impediments of motion. Their absence does not expand the liberty of those subject to them. And while he characterized civil laws as artificial chains, he qualified his characterization by adding in reference to civil laws, ‘These Bonds in their own nature but weak, may neverthelesse be made to hold, by the danger, though not by the difficulty of breaking them’ (L, 147). Hence, the liberty of subjects is not a kind of liberty. Hobbes, I submit, adhered more reliably to his program for constructing a true science of morals and political society than Martinich’s interpretation can allow. For this reason, Hobbes is best interpreted as constructing a philosophical theory of morals and political society on which the laws of nature need not be genuine laws. This first debate features a critique by one of the editors, Al Martinich, of John Deigh’s chapter ‘Political Obligation’. Deigh responds in Part 2. (3) property in the custody of any law enforcement agency was explicitly represented by any law enforcement agent to the actor as being stolen and the actor appropriates the property believing it was stolen by another (Texas Penal Code: Section 31.03). Given the propensity to think of laws as commands, I think it is amazing that Hobbes so rarely slips into the imperative mood. One place where he does use the imperative is in his explanation of the distinction between commands and counsels. He gives, ‘Do this’, as an example of a sentence that may be a command or counsel depending upon who said it and with what intention. If a person with authority said it to a subordinate and expects the subordinate not to have any reason for obeying other than that the authority wants it done, then ‘Do this’ is a command. If the person does not have authority over the addressee and intends to direct the addressee to perform an action beneficial to the latter, then a primary desires is counsel. My guess is that Hobbes chose the underdetermined sentence, ‘Do this’, because he did not want his readers to form a judgment about whether the sample utterance was a command or counsel on the basis of its content. If Hobbes had chosen, ‘Do not take the belongings of other people without their permission’, his readers may have thought, ‘This is a command’, and if he had used, ‘Get an education’, his readers may have thought ‘This is counsel’. Yet, for Hobbes, each of these latter examples could be command or counsel. A more unfortunate aspect of his selection of ‘Do this’—and the same would hold if he had chosen either of the other two examples I suggested—is that he does not clearly enough communicate the idea that these utterances can be made explicit commands or counsels by prefixing them with a performative phrase, ‘I command’ or ‘I counsel’. The upshot of this discussion is that a command, like other illocutionary acts, has two elements, a propositional content and a force, and that often the force is fully expressed only when an illocutionary act verb in performative form prefixes the content of the law. However, sometimes the words expressing the force should not be expressed. This is especially true when the laws of nature are to be proved using only a logic that applies to sentences in the indicative mood, as was the case in the seventeenth century. There was no logic of imperatives or performative utterances at that time. So, while ‘You lay down your right to all things’ and ‘You keep your covenants’ can be proved straightforwardly, ‘Make peace’ cannot. In order to make it provable, it has to be paraphrased as, ‘You make peace’. Here’s a proof briefly stated: (1) You act to satisfy your desire to preserve yourself. (2) If you do not make peace, then you do not act to satisfy your desire to preserve yourself. Therefore, (3) You make peace. Well, precisely what expression is supposed to express the force of the laws of nature? I think there are only two plausible possibilities: Either reason commands them or God commands them. In favor of the former is the fact that Hobbes sometimes says that reason commands. However, Hobbes should not think that reason has any authority over human beings; and it is easy to use synecdoche without realizing that the statement is not strictly true. Consider the slogan ‘Guns kill people’. Since both John Deigh and I believe that Hobbes’s explicit view of reason is only instrumental and suggests means to given ends, I will not discuss the possibility that reason commands the laws of nature further. That leaves the disjunct that God commands the laws of nature. Religion itselfe is a kind of fear. Religion is nothing else, but the fear of some God: as the Creator himself hath expressly defined it. … Religion is an affection, which begetteth a care of worshipping a certain superior Nature, which is commonly called God (Fotherby 1622: 122). We may find religions of fear repulsive, but the seventeenth-century English did not. So it would be absurd for Hobbes to try to get people to understand that there is something wrong with Christianity specifically and religion generally by ‘writing between the lines’. A vivid example of divine fear is the Engagement Controversy. Thousands of the English balked at taking the Engagement for fear of violating the third law of nature, ‘You keep your covenants’. In the state of nature the fear of God inclines people to obey the laws of nature because God is ‘the revenger of their perfidy’ (70). God, the avenger, is doing his job only if he is taking revenge for violation of his laws. This is only to say that fear of God’s power helps motivate people to obey the laws of nature, not that it is sufficient to get everyone always to follow them. I believe that John Deigh accepts at least the spirit of what I have said about the laws of nature with respect to how they can be proved. What he does not accept is that for Hobbes the laws of nature are commands of God (Deigh 2016: 304-7). He, like most nonlaw theorists, quotes Hobbes’s comment at the end of chapter 15, ‘These dictates of reason men use to call by name of laws, but improperly; for they are but conclusions or theorems concerning what conduceth to the conservation and defence of themselves’ (Hobbes 1651: 80). 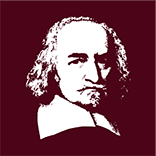 Deigh maintains that since Hobbes had been proving laws of nature for two chapters, he must mean that the laws of nature are identical with the dictates of reason. But if that were true why didn’t Hobbes say that? Why doesn’t he use the phrase, ‘the laws of nature’, again if his position is that the laws of nature as such are not laws? That would eliminate any idea that those laws were laws. One explanation is that he did not want to be saddled with the paradoxical sentence, ‘The laws of nature are not laws’. Counting against this explanation is the fact that Hobbes embraced paradox (see Parkin, 2016). A different explanation, one that has some force with me is that, as great a stylist as he was, Hobbes sometimes phrased his points sloppily. But there is a better explanation. He shifts to a different locution, ‘dictates of reason’, precisely because he wants to indicate what part of a law of nature is provable, namely, the propositional or action-guiding part, and what part makes it a command. Propositions, when proved by reason, and commanded by God, are laws. Until the end of chapter 15, he could not discuss these propositions as commanded because he could not prove sentences of the form, ‘I, N.N., command that p.’ As theorems, the laws of nature have to be formulated without a performative prefix. In order to convey that the laws of nature are laws only insofar as they are commanded, as he intends to do in this context, Hobbes adopts the phrase, ‘dictates of reason’. So now, having proved what he wanted to prove, he takes the next step and reports what makes them laws: ‘if we consider the same theorems as delivered in the word of God that by right commandeth all things, then they are properly called laws’ (Hobbes 1651: 80). This statement is not an ‘inconvenient aside’ (Deigh 2016: 309). One might ask, ‘Why God?’ I have already explained why it could not be reason. And there does not seem to be any alternative. Holding that God commands the laws of reason is, given the background assumptions of seventeenth-century intellectuals, inference to the best explanation. When Anglo-American philosophers describe their methods, they often say that they are argument and analysis. If they think about Kierkegaard and Nietzsche, they may think of insight as another method. But one of the most powerful and pervasive methods is inference to the best explanation. God’s command is a better explanation than anything else Hobbes had available. The apparent oddity of the passage, ‘men use to call’ is removed if we take it in the most straightforward way, given that he says (1) that God is a sovereign by nature; (2) that reason is one of the ways by which ‘God declareth his laws’ to human beings; and (3) that the laws of nature are found out by reason (Hobbes 1651: 186, 187, 64). It is no good to object that (1) and (2) are expressed long after, in chapter 31, for that chapter belongs as much to Part Two, ‘Of Commonwealth’, as any of the earlier chapters; and its position at the end of Part Two is appropriate since it aids the transition to Part Three, ‘Of a Christian Commonwealth’. Few Hobbes interpreters accept (1) and (2). But that is not pertinent. The pertinent point is that Hobbes’s formulation of his theory includes the laws of nature as laws. In philosophy, of the making of many objections, there is no end. Deigh recently devised a new one that I consider ingenious. It consists of three components. The first is Hobbes’s insistence that definitions are ‘the starting points of the reasoning, which is to say, the adding and subtracting of words, that yield the theorems of science’ (Deigh 2016: 309). The second is that the nonlaw interpretation ‘conforms … more closely’ to Hobbes’s method of science (Deigh 2016: 306). The third is that, taking Hobbes’s definition of ‘law of nature’ strictly, one will see that it entails that laws of nature are not laws. I accept the first component but not the second or third. Concerning the second, one problem is that Hobbes’s practice does not always conform to his official method. He does not invariably deduce conclusions from definitions although terms that have been defined may occur in the premises. It is fortunate that Hobbes would not invariably follow his explicit method because much of his philosophy would then disappear. Also, whether he is conscious of his lapse or not, he does not follow his explicit method with respect to his assertion that God commands the laws of nature. Near the beginning of chapter 31, Hobbes says, ‘There wants onely, for the entire Knowledge of Civill duty, to know what are those Lawes of God’ (Hobbes 1651: 186). Hobbes knows that a political philosopher in the seventeenth century has to deal with the issue of the relation of God’s laws to civil laws. Heck, we need to do that in the United States in the twenty-first century! Also, I think that Deigh places too much weight on ‘assessing Leviathan as a work of philosophy’ when it comes to “evaluating the competing interpretations” (Deigh 2016: 305n29). For any given doctrine, almost any philosopher may have made a mistake, even a demonstrable one. Hobbes thought no one could be ‘so stupid as both to mistake in geometry and also to persist in it when another detects his error to him’ (Hobbes 1651: 21). Yet he was. I also do not agree with Deigh’s claim that law interpreters are committed to the proposition that ‘the source of the obligation to which those [sovereign-making] contracts give rise is the third law of nature’ and not ‘the contracts on which a commonwealth is founded’ (Deigh 2016: 305). I don’t think law interpreters are so committed. The laws of nature and sovereign-making covenants are two different kinds of things. So nothing stands in the way of holding that obligation comes from different sources. The laws of nature bind simply because God is a natural sovereign with irresistible power who promulgates them through reason. Covenants bind when people mutually lay down some rights by their voluntary actions. To say that there are two sources for some object with the name N is not to say that N is ambiguous. For example, one source of wealth is inheritance and another is industriousness; one source of obligation is the laws of nature and another is covenanting. If ‘obligation’ were ambiguous, then the sentence, ‘The laws of nature are a source of obligation and so is covenanting’ would be semantically defective. But it is not. when a term consisting of two names joined together is defined, the definition preempts the use of the definition of either name whenever that name occurs as a component of the term. Likewise, it preempts the use of either name with some undefined meaning whenever the name occurs as a component of the term. The preemption is necessary to prevent the term from having two distinct extensions and thus being ambiguous (Deigh 2015: 310). In chapter 21, for instance, he defines ‘liberty of subjects’ after first defining ‘liberty’. His definition of ‘liberty’ is the absence of external impediments to motion. His definition of ‘liberty of subjects’, is the absence of laws forbidding action. Hobbes, however, also observes that laws in themselves are not external impediments to action and hence that one speaks absurdly in holding that a law deprives one of liberty. ‘Liberty’, therefore, when it occurs in ‘liberty of subjects’, does not have the meaning with which Hobbes defines it. As Hobbes puts the point, in such occurrences it is not used with it proper sense (Deigh 2016: 310). In other words, ‘law of nature’ is a multi-name, technical term and should be understood as a unity as if it were a fused expression, ‘law-of-nature’ (like ‘morning glory’, which is sometimes written ‘morning-glory’), or as if it were spelled without intervening spaces (‘lawofnature’, like ‘butterfly’). Deigh alludes to Hobbes’s statement that only natural liberty is ‘properly called liberty’ (Hobbes 1651: 108). So, Deigh infers, for Hobbes, civil liberty is not liberty. The civil laws themselves are ‘Artificiall Chains’, which subjects “have fastned [sic] at one end, to the lips of that Man, or Assembly, to whom they have given the Soveraigne Power; and at the other end to their own Ears’ (Hobbes 1651: 108-9; cf. Hobbes 1668: 105). Of course, if one switches from the category of civil liberty to natural liberty (‘corporall Liberty’), then subjects have ‘freedom from chains, and prison’ and it is absurd for them to ‘clamor as they doe, for the Liberty they so manifestly enjoy’ (Hobbes 1651: 109). Hobbes then returns to the category of civil liberty and points out that it is equally absurd for subjects to complain about their artificial chains and ‘a Sword in the hands’ of the Sovereign, for without those things, ‘all other men would be masters of their lives’ (Hobbes 1651: 109). In other words, they would be slaves, unfree persons. I don’t think Hobbes would accept the objection that artificial chains cannot be impediments because they are artificial, for if he did, then sovereigns, who are artificial persons, would not be persons; and it is crucial to Hobbes’s theory of authorization to have artificial persons who can represent their subjects. Again it would be absurd for him to divide persons into natural and artificial, as he does (Hobbes 1651: 80). How then should Hobbes’s claim that only ‘natural liberty … is properly called liberty’ and his claim shortly later that ‘we take liberty in the proper sense, for corporal liberty’ be taken (Hobbes 1651: 108, 109)? (In the Latin Leviathan, the second occurrence of ‘proper’ is not translated.) ‘Proper’ may mean applicable to only one thing. But it does not always have that narrow meaning. It can also mean more appropriate or strictly applicable to one thing than any other, as when someone says, ‘The proper part of the U.S. Constitution excludes its Preamble.’ My friend Jonathan has told me that my fedora is a proper hat unlike my ‘gimme hat’. (Caps are hats, as a person wearing a cap would quickly discover in a courtroom with a sign saying ‘No hats’.) From ‘Natural liberty is proper liberty’ one is not justified in inferring ‘Civil liberty is improper liberty’, only ‘Civil liberty is nonproper liberty’. Nonproper liberty could be ‘liberty’ in a derivative or broader sense. Deigh should not put too much weight on the word ‘proper’ because Hobbes did say that when the theorems of chapters 14 and 15 are delivered in the word of God, they are ‘properly called Lawes’ (Hobbes 1651: 80). Also, seventeenth-century usage allowed for x-es that were not ‘proper’: a kind of human liberty was not ‘proper’ (Owen 1643: 125); and human kings were kings but only God was a ‘proper king’ (Rutherford 1644: 39). There are three positive reasons for holding that natural laws are laws. First, Hobbes divides laws into two kinds in chapter 26, one of which is natural law (Hobbes 1651: 48). If natural laws were not laws, then it would be absurd for him to make this division, similar to dividing horses into two kinds, equine and saw. The second reason is the way Hobbes explicates his definition of ‘law of nature’. He begins by saying that law is inconsistent with right, where right is liberty, Rights are contrasted with laws: ‘Law, and Right, differ as much, as Obligation, and Liberty; which in one and the same matter are inconsistent’ (Hobbes 1651: 64). If a law of nature were not a law, then it would be pointless or misleading for Hobbes to use the concept of law and its contrary ‘liberty’ to explain his definition. Hobbes is not using the words ‘law’ in ‘law of nature’ metaphorically or as part of a fused expression. Third, Hobbes indicates in Leviathan, chapter 25, ‘Of Counsel’ that a complete law consists of two parts. One part consists of a proposition that is action-guiding, such as ‘you lay down your right to all things’ or ‘you do not drive faster than 20 mph in a school zone’. The other part is the force with which that proposition is expressed; and the force is determined by the speaker expressing the proposition or with what purpose. When the proposition is issued by an authority as binding, it has the force of a command; and it is a law. When the proposition is expressed, say, by a friend who recommends a course of action for the addressee’s own good, it is counsel or advice. (Hobbes does not consider the fact that authorities are sometimes friends and use their authority for the addressee’s own good.) It is easy to be mistaken about the force that a proposition has. Hobbes uses ‘Do this’ as his example. One defect of this example is that the words are so vague or noncommittal, ‘do’ [what?] ‘this’ [what?]. My guess is that Hobbes feared that a sentence such as ‘You do not kill’ would be interpreted as a command and one such as ‘You study hard’ would be interpreted as counsel. Another deficiency of ‘Do this’ is that it is in the imperative mood, as I explained above. So, Hobbes might have used an indicative sentence to illustrate the confusion of commands and counsels. ‘You are off the streets by midnight’ would have served. Although most philosophers say that sentences with the main verb in the indicative mood are assertions, there are many reasons to think that view is wrong (Martinich 1984: 72-6). In any case, if Hobbes knew speech-act theory, he might have said that the relevant sentence is indeterminate with respect to its force since none is expressed and it can be used either to give advice if the speaker was advising a person how to me alert at 8:00 AM or issue a command if the speaker was commanding the addressee about a curfew. As I said, the propositional part of a law of nature can be proved by reason from the definition of ‘law of nature’. But who is the authority or sovereign who commands these laws? Hobbes says it is God, who is sovereign in virtue of his irresistible power. And God promulgates the content of the laws through reason, which is ‘the undoubted word of God’ (Hobbes 1651: 195). Since no one in seventeenth-century England doubted that God commanded the laws of nature, Hobbes did not need to produce a proof. Richard Cumberland complained that Hobbes did not prove that God commanded them and attempted to do so in the 400 substantial pages of De Legibus Naturae (1672). Though he labored mightily, I see nothing in that book that would count as a demonstration. Later, John Locke tried and failed to prove that the laws of nature were commanded by God; and he knew that he had failed. But he did not give up his belief that they were. When Hobbes is talking only about the propositional part of a law, the part that can be proved by reason, he says that the laws of nature are not laws and sometimes signals this narrow reference by using the term ‘dictate of reason’. Why should he use a different term unless he wanted to mark a difference? And when he says that the laws of nature are laws, he often makes clear who the authority is who makes the propositions laws, God. Deigh, John. 2016. “Political Obligation,” in Martinich and Hoekstra, pp. 624-40. Martinich, A. P., and Kinch Hoekstra, eds. 2016. Oxford Handbook of Hobbes. New York: Oxford University Press. Martinich, A. P. 1984. Communication and Reference. Berlin: Walter de Gruyter. Owen, John. 1643. Theomachia Autoexousiastike; or A Display of Arminianisme. London. Parkin, Jon. 2016. “Hobbes and Paradox,” in Martinich and Hoekstra, pp. 624-42. Rutherford, Samuel. 1644. Lex, Rex; The Law and the Prince. London. Hobbes does not point out that, given his characterization of command and counsel, something can be both: Suppose there is a good God, a sovereign by nature, who wants to nudge human beings, and so directs the laws of nature to human beings, which he expects them to understand through reason as his mode of promulgation. The omission does not surprise me. Hobbes was a fallible philosopher, as are we all. This two-fold structure is familiar from speech act theory. See Searle 1969 and Martinich 1984. My guess is that, given Hobbes’s epistemological views, a person could never have more than empirical evidence for a belief that God commanded the laws of nature. I want to thank Leslie Martinich and Jake Galgon for their helpful comments. Whenever I’m teaching Hobbes—or any great thinker, for that matter—I like to point students towards some good radio discussions of his thought. I’ve long directed them to this excellent episode of In Our Time, with Melyvn Bragg in conversation with Quentin Skinner, David Wooton and Annabel Brett. I recently also discovered this very interesting episode of Great Lives, with Steven Pinker and Noel Malcolm. And for a somewhat less scholarly discussion of what Hobbes might have to tell us about issues from online computer games and Bitcoin to naked rambling, there’s this on ‘Hobbes and Civil Disobedience’ (I assume, for Hobbes, civil and disobedience are words, which when they are joined together, destroy one another). You’ll notice I’ve not ventured beyond the BBC and it shouldn’t be too difficult to find something more sophisticated than the last offering here. ADDENDUM: This episode of Philosophy Bites, with Noel Malcolm in conversation with Nigel Warburton, is also recommended (thanks to Juhana Lemetti for the pointer). And for Francophone audiences, here’s Luc Foisneau talking about ‘Hobbes: la vie inquiète’ for France Culture. In 2009 Istvan Hont delivered the Carlyle Lectures at Oxford on Jean-Jacques Rousseau and Adam Smith. These were (posthumously) published earlier this summer as Politics in Commercial Society: Jean-Jacques Rousseau and Adam Smith, ed. Béla Kapossy and Michael Sonenscher (Harvard University Press, 2015). They make for an intriguing and sometimes a quite frustrating read, not least because they contain many bold and provocative claims, often with only minimal evidence adduced in their support. While the book is principally about Rousseau and Smith, Hobbes plays a crucial part in Hont’s genealogy of the concept of commercial society in the opening chapter, which might be of interest to visitors of this site. I also suspect that most discussions of the book will (rightly) focus on Hont’s interpretations of Rousseau and Smith, but his analysis of Hobbes also merits consideration.